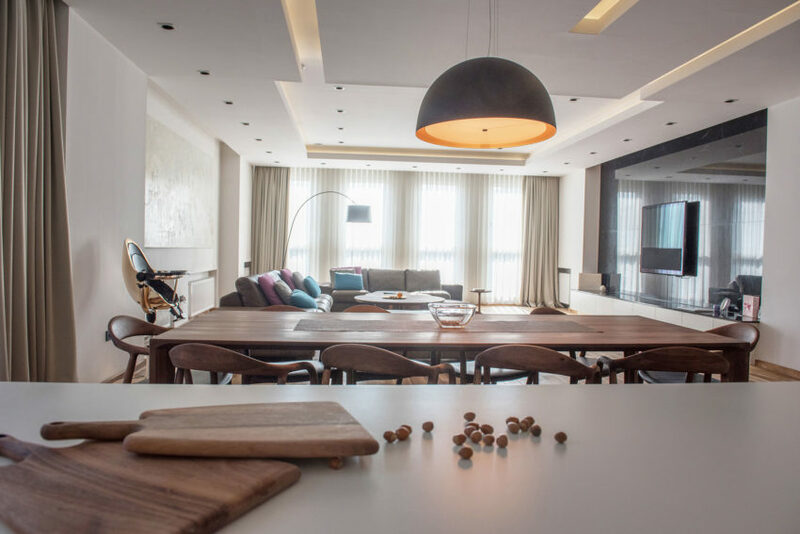 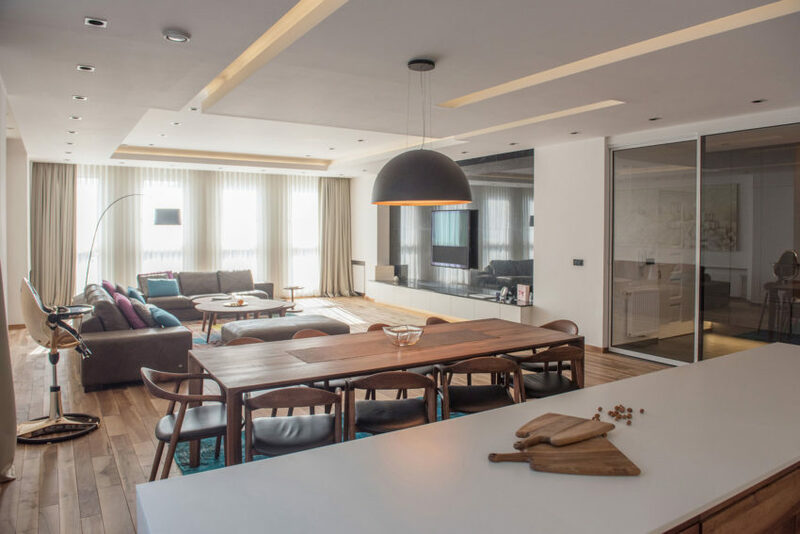 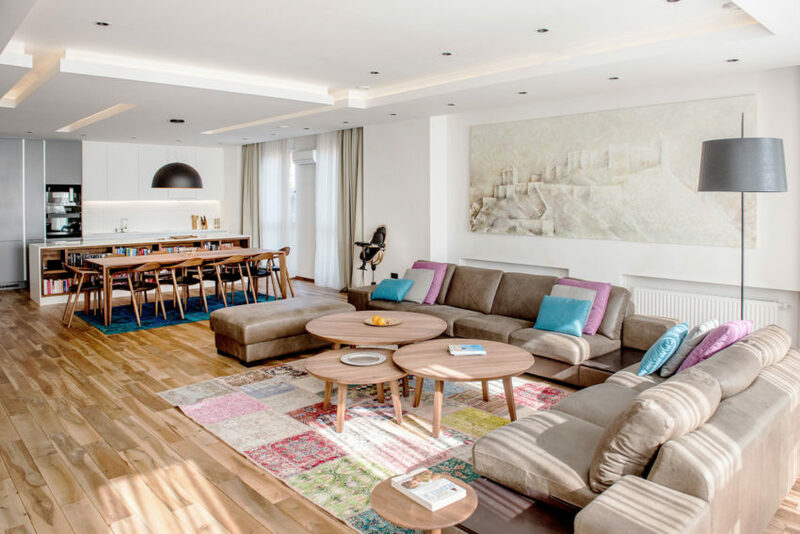 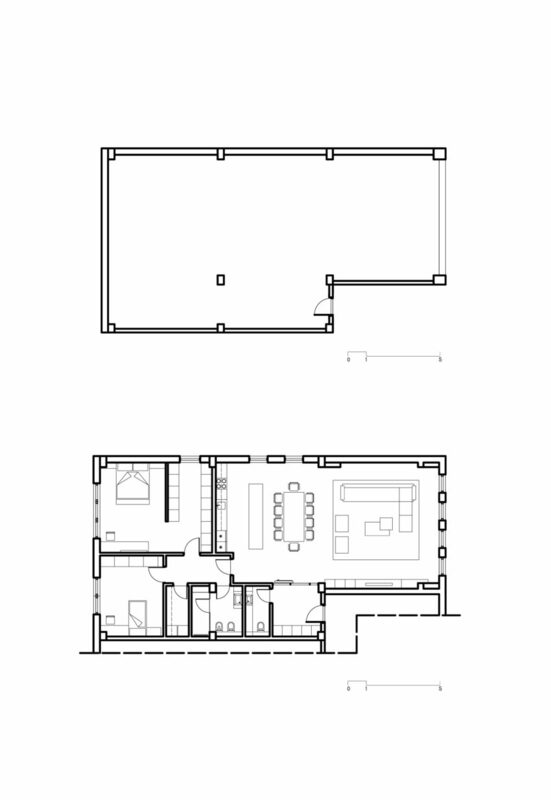 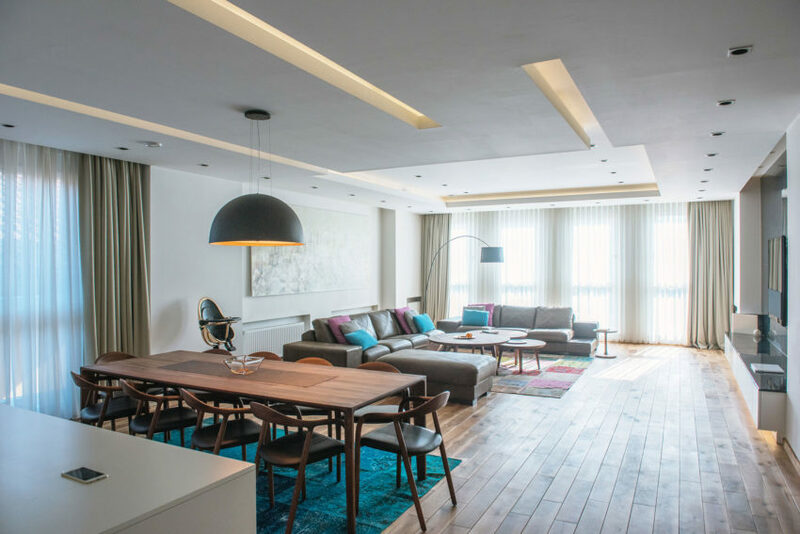 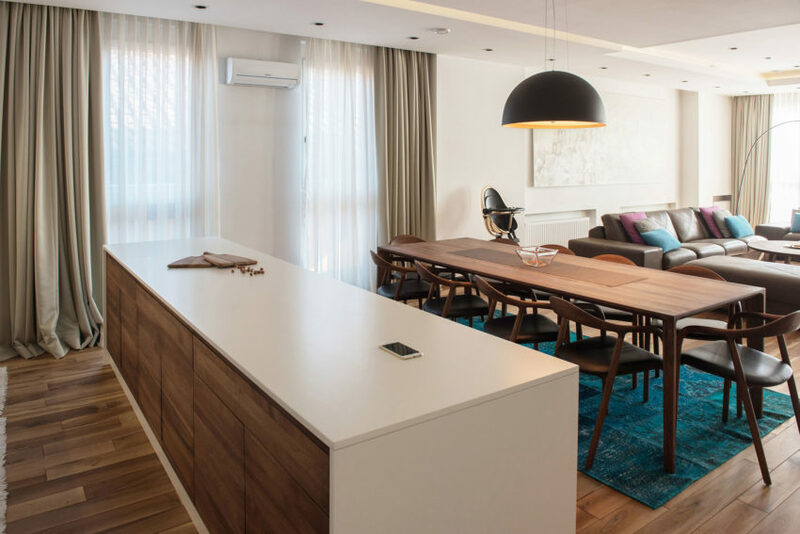 This wonderful apartment, designed by Fo4a Architecture in 2015, is located in Bosnia and Herzegovina and occupies a total of 155 meters squared. 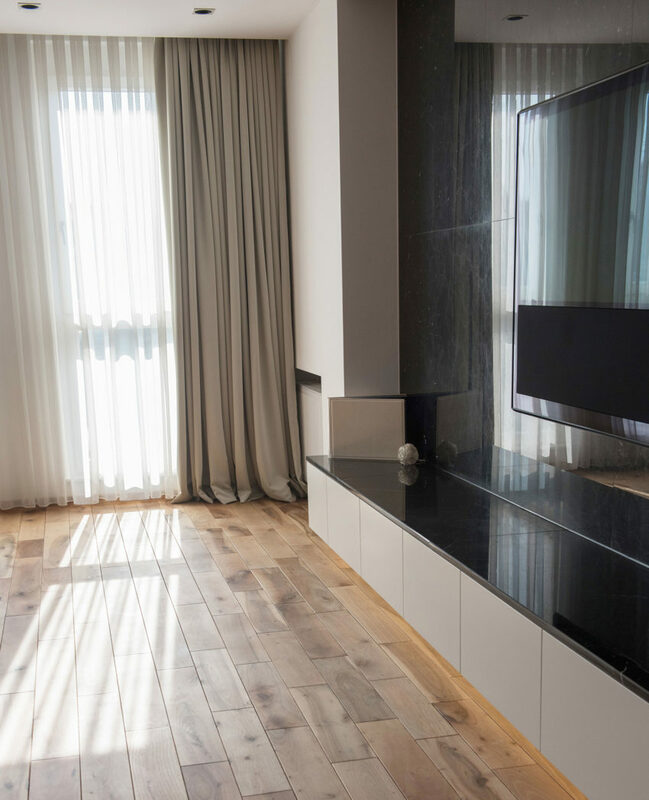 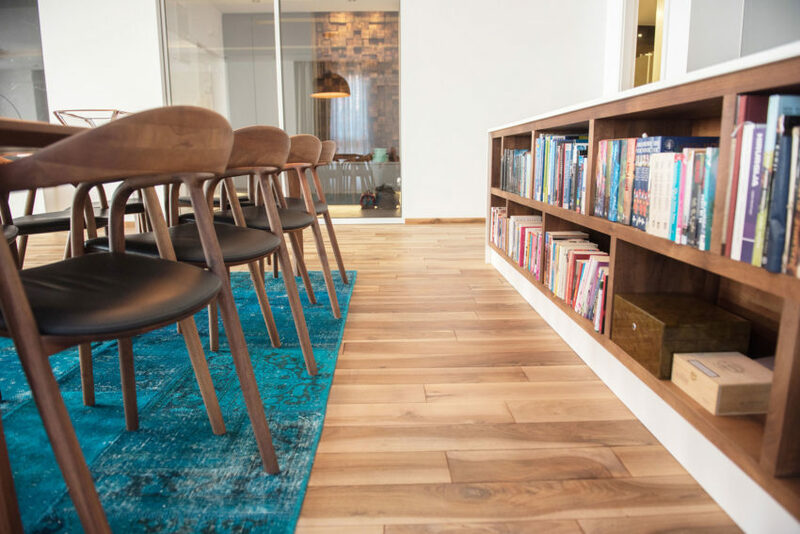 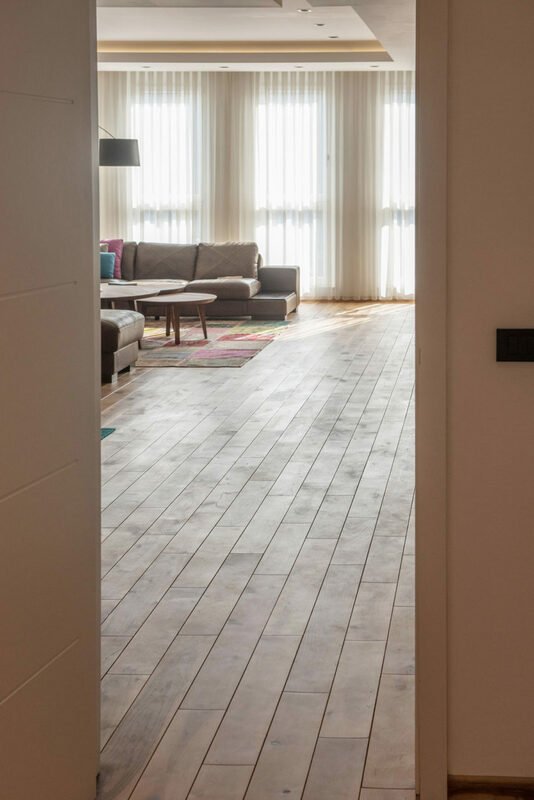 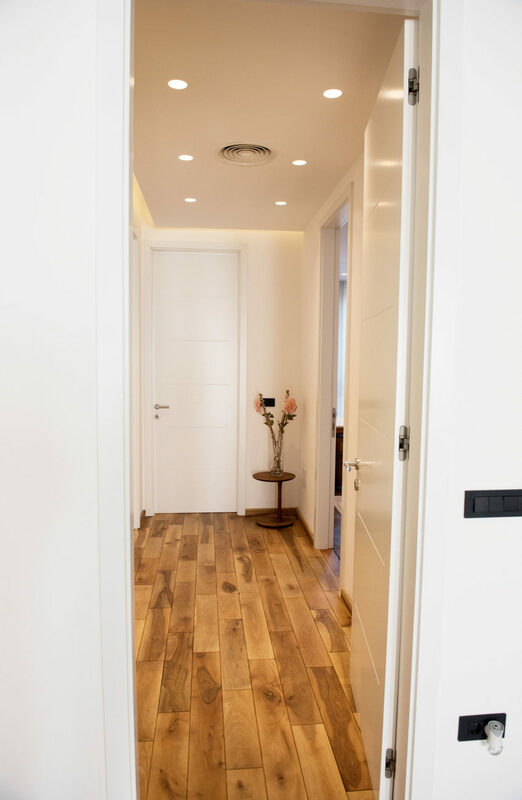 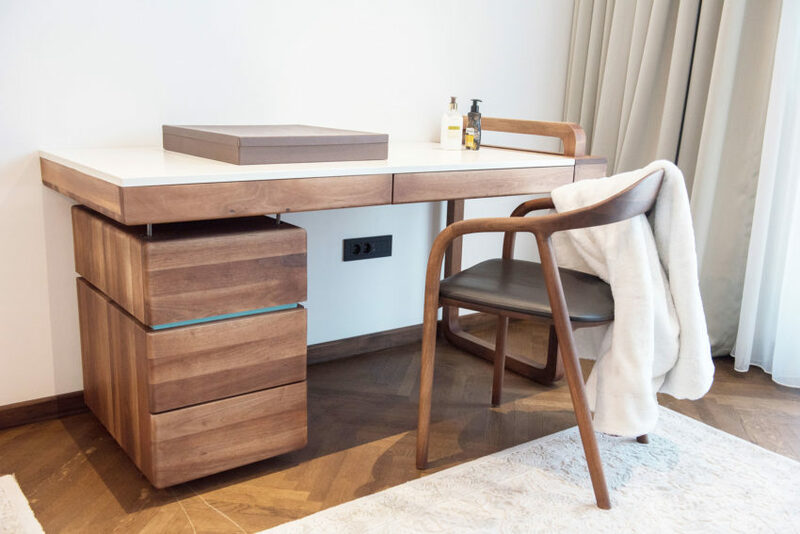 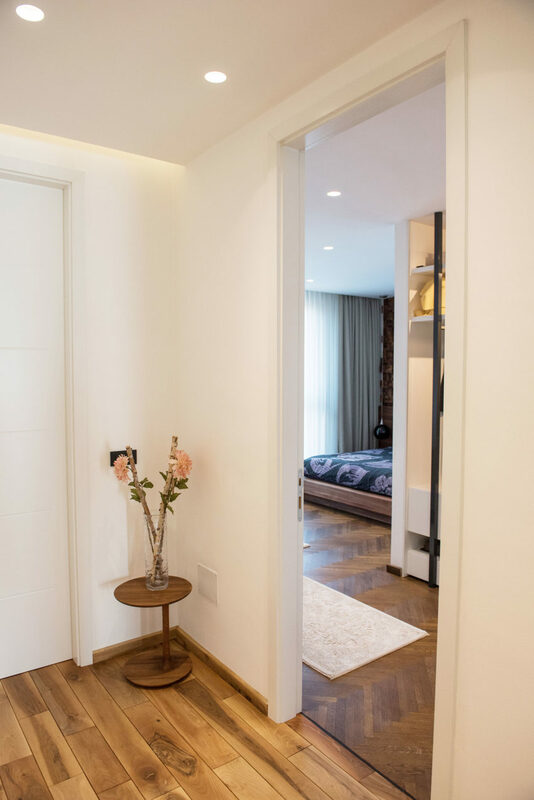 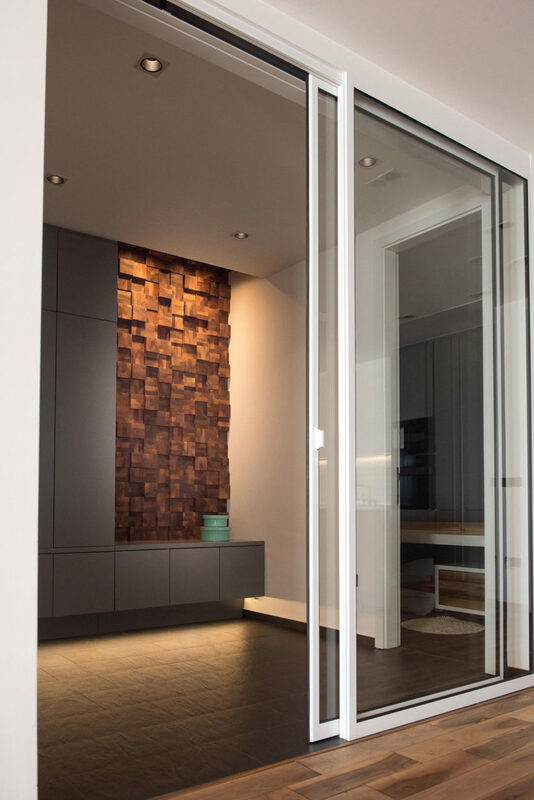 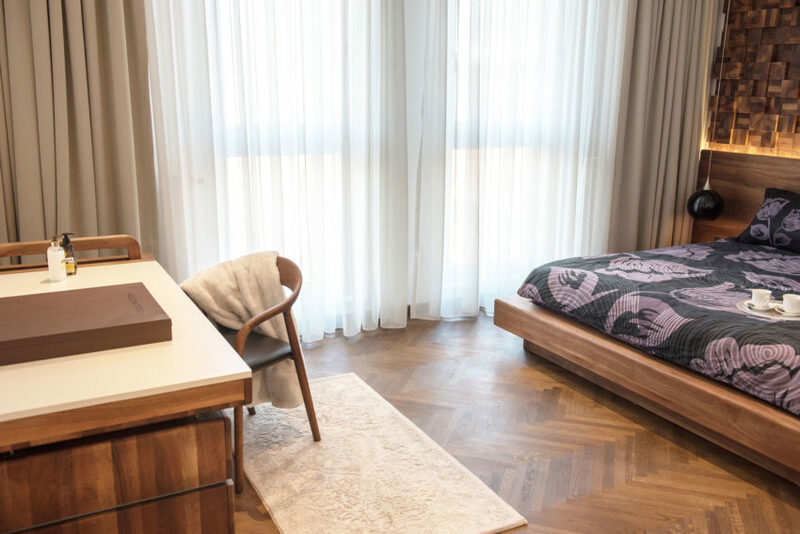 Wood is one of the most used elements in the structure’s design, such as in the floor, clearly showing a defined style that is marked by good taste. 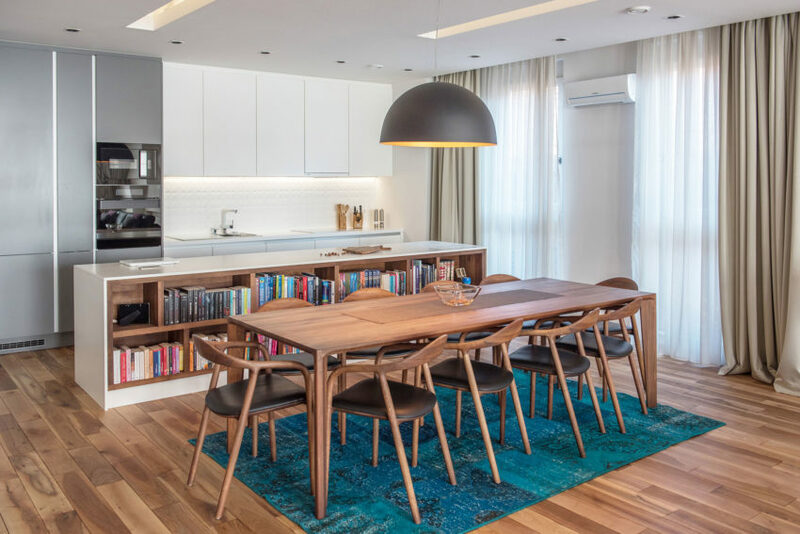 The living room-dining room areas and the kitchen share a common space; however, each space is perfectly defined in and of itself, and creates a completely homogenous and pleasant tone. 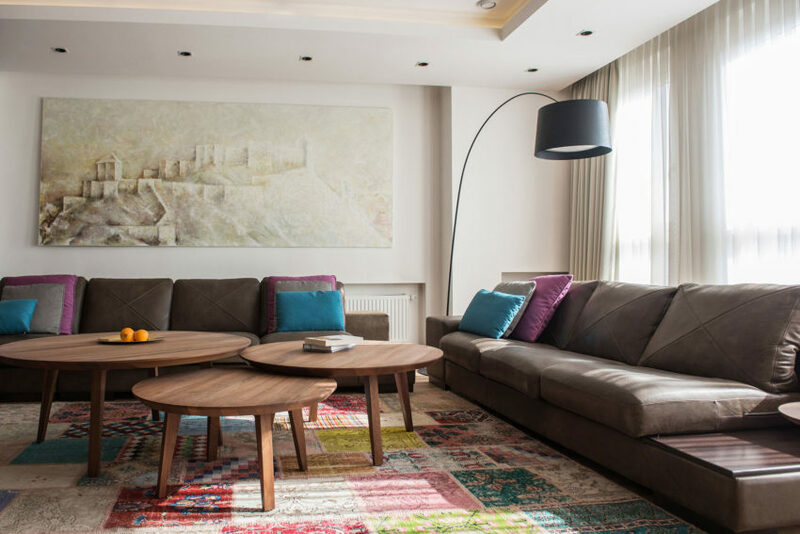 Leather couches make up the living room area, as do wood tables. 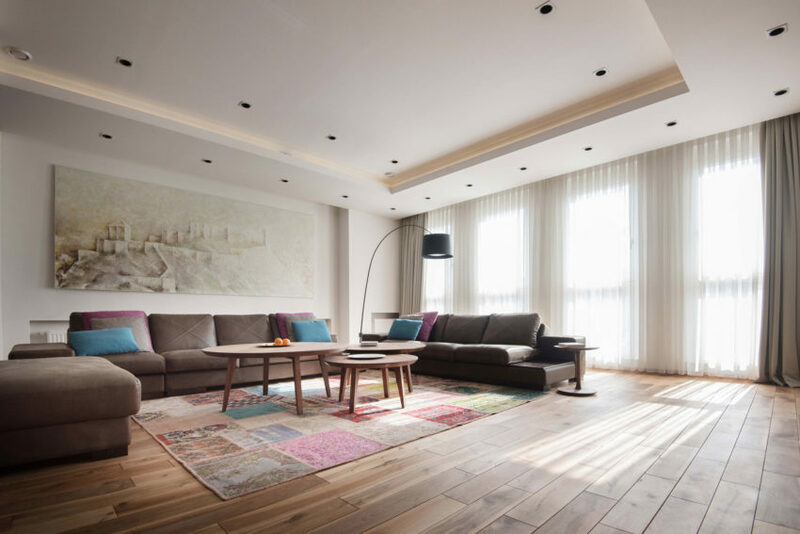 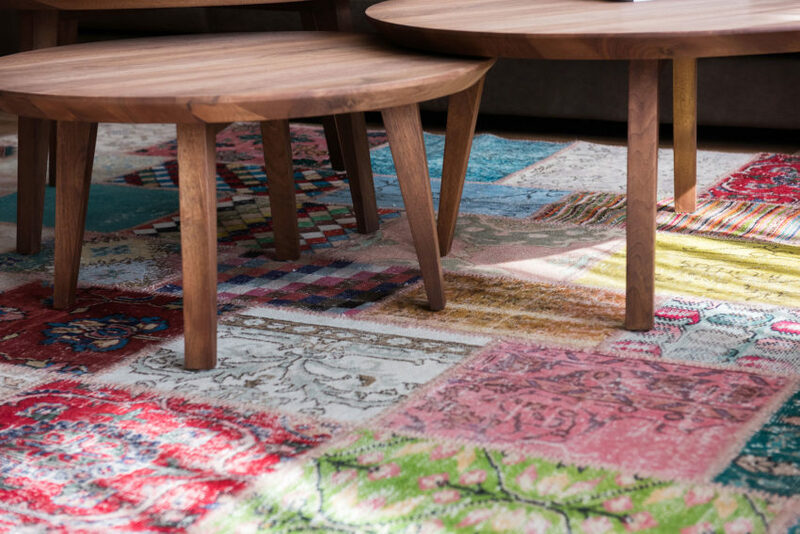 The colorful rug is an outlier of the general style of the space, and provides a sensation of happiness and a breath of life. 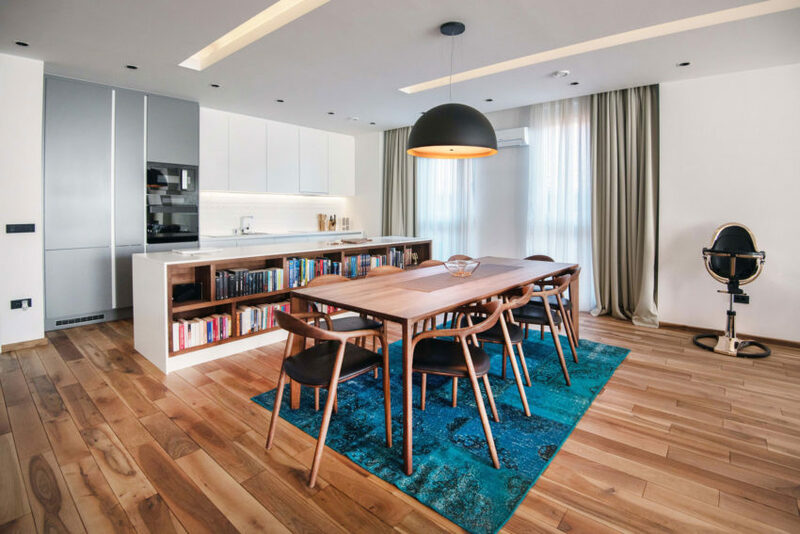 In the same space, off to one of the sides, we can find a dining room table made of wood. 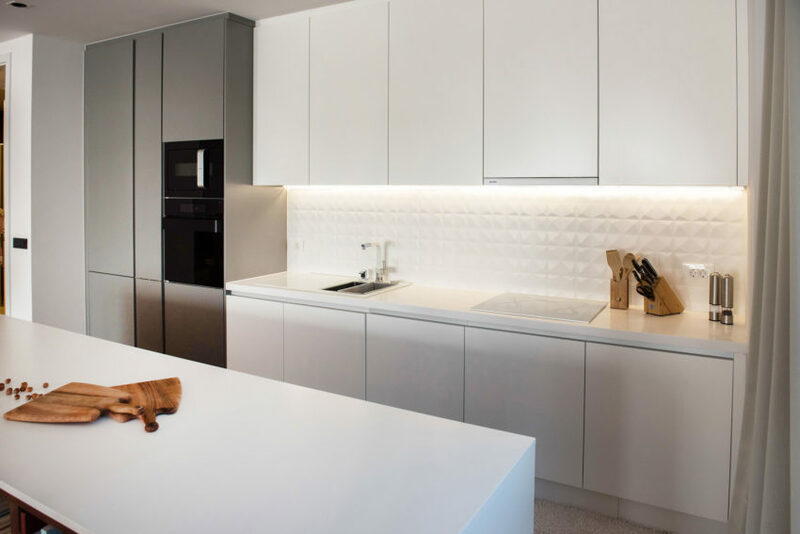 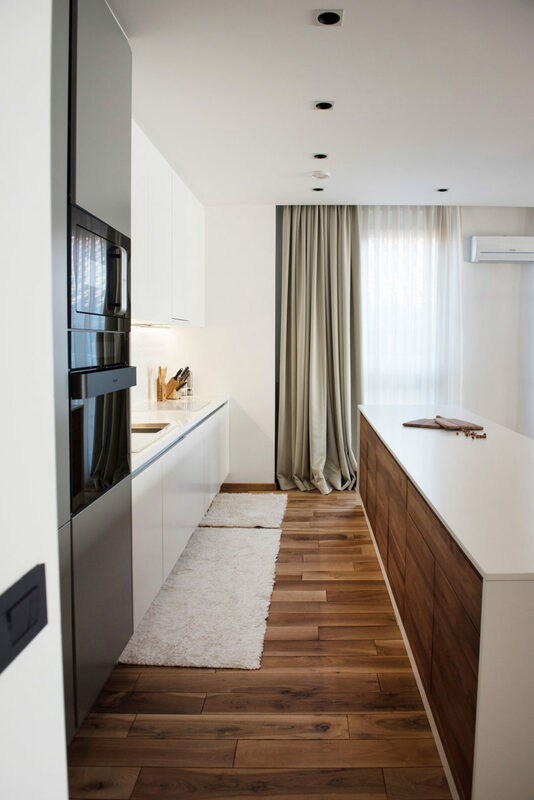 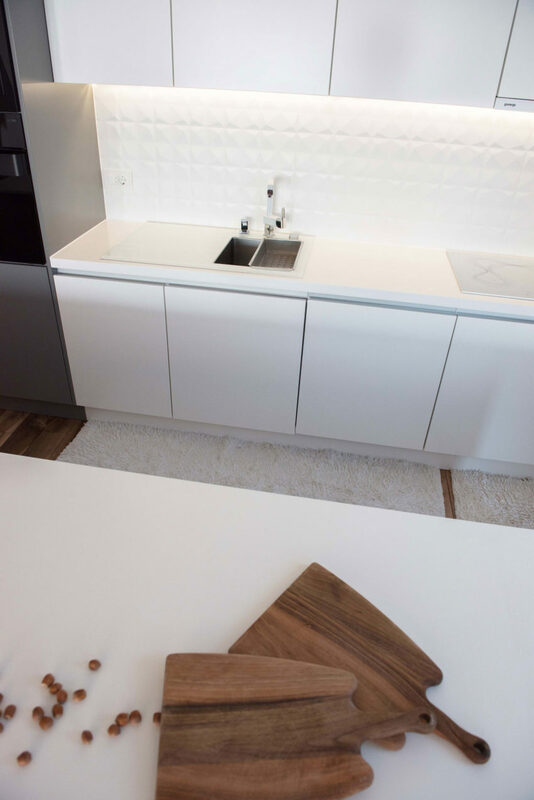 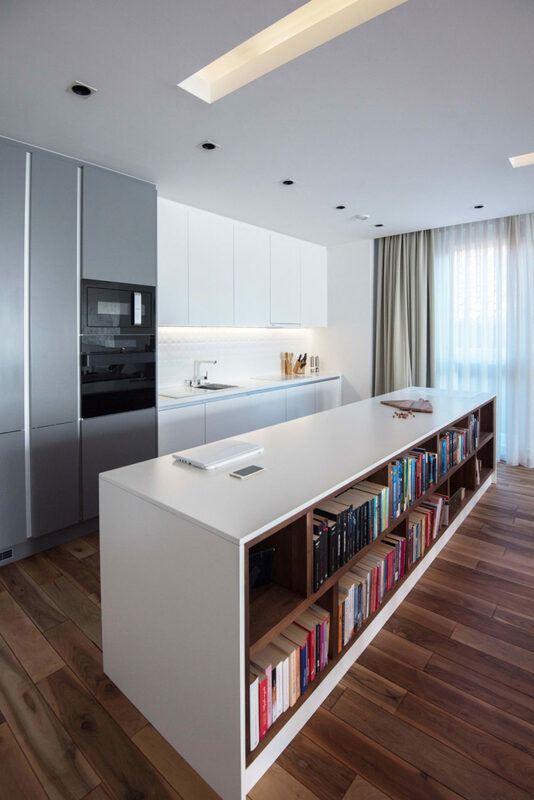 The kitchen, of a modern style, employs modern furniture in white with some details in gray and others made of wood. 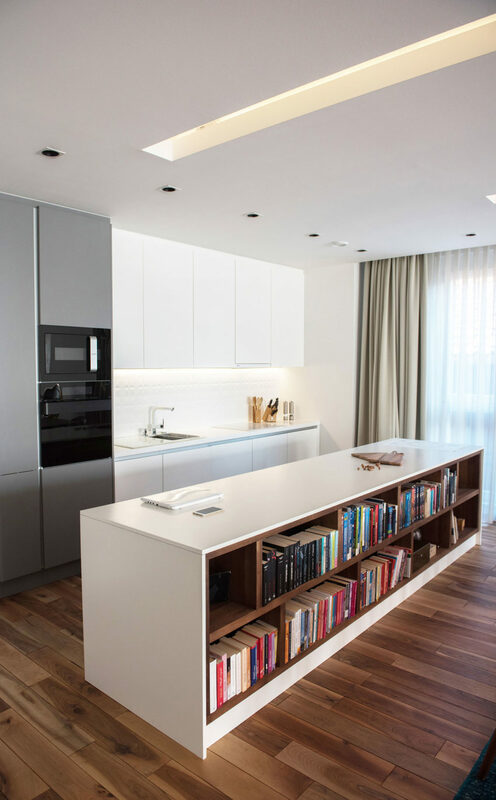 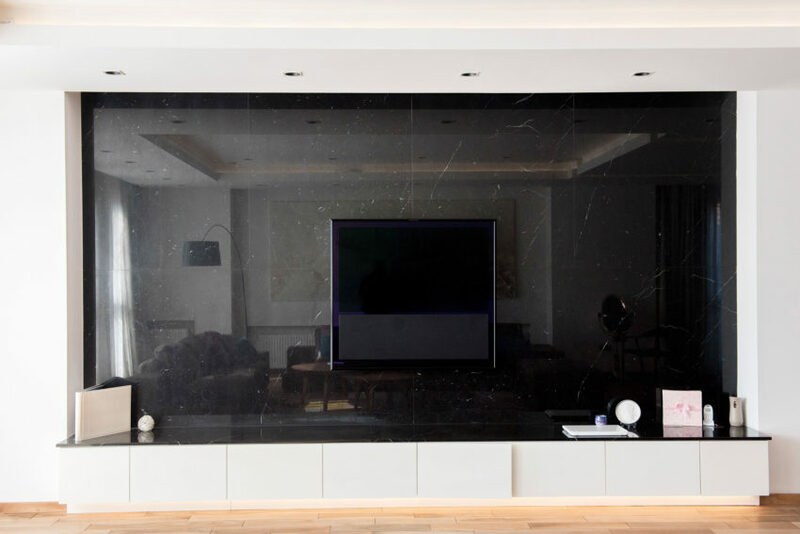 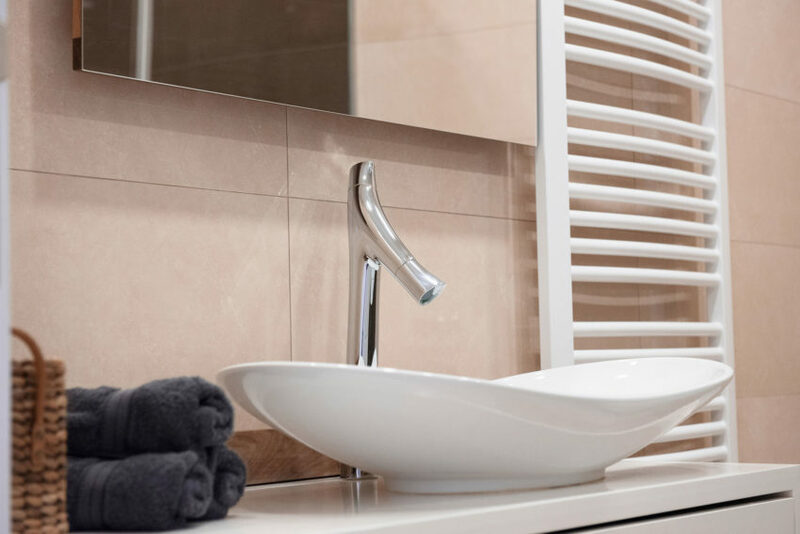 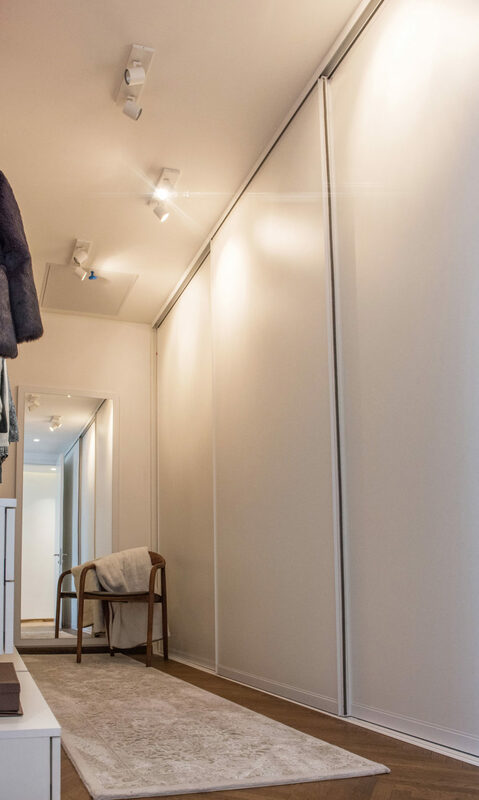 It also has a large number of storage compartments. 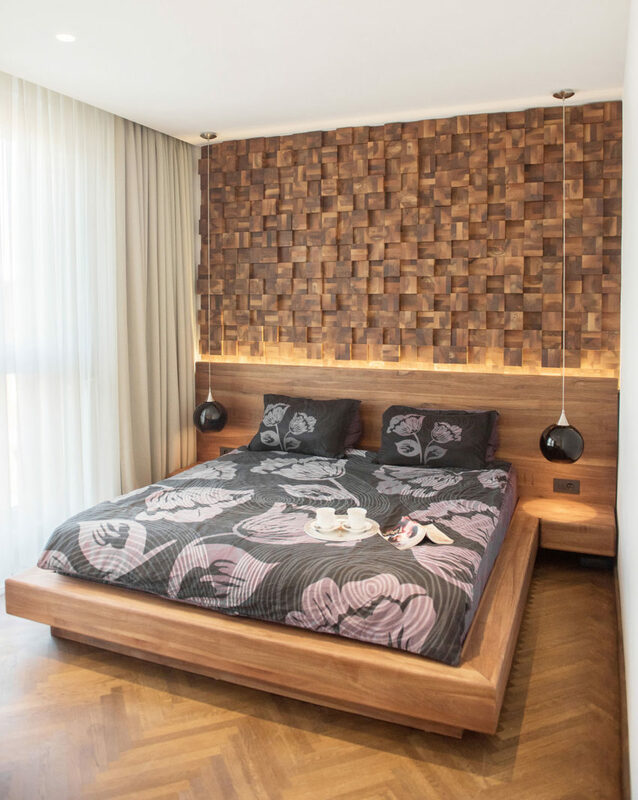 The bedroom—where, again, we see the clear use of wood in its design—has a bedframe of thick and solid wood, over which hang two modern lamps in darkened glass. 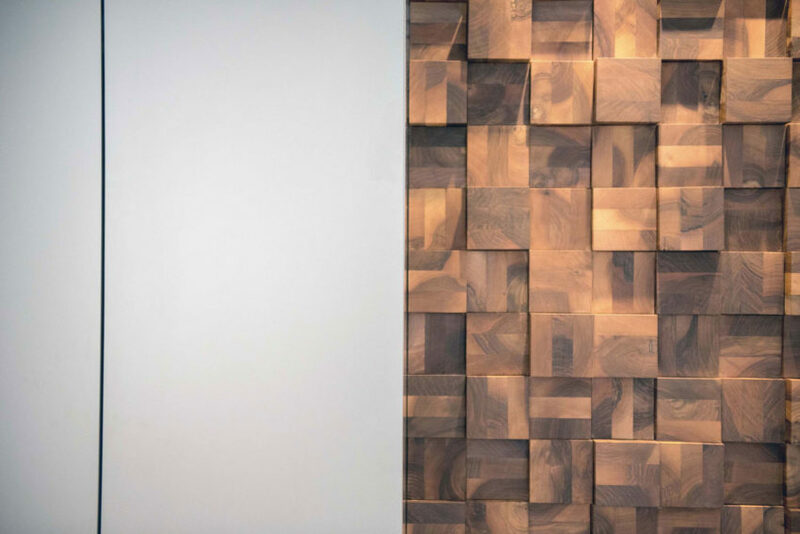 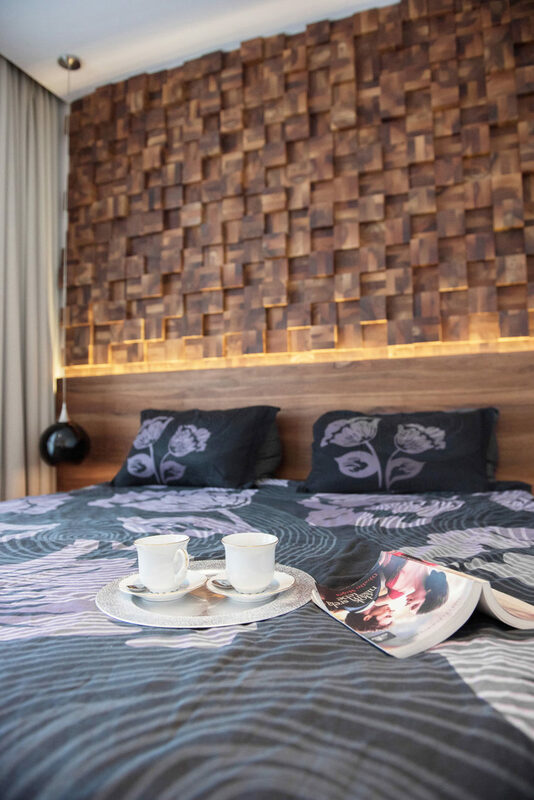 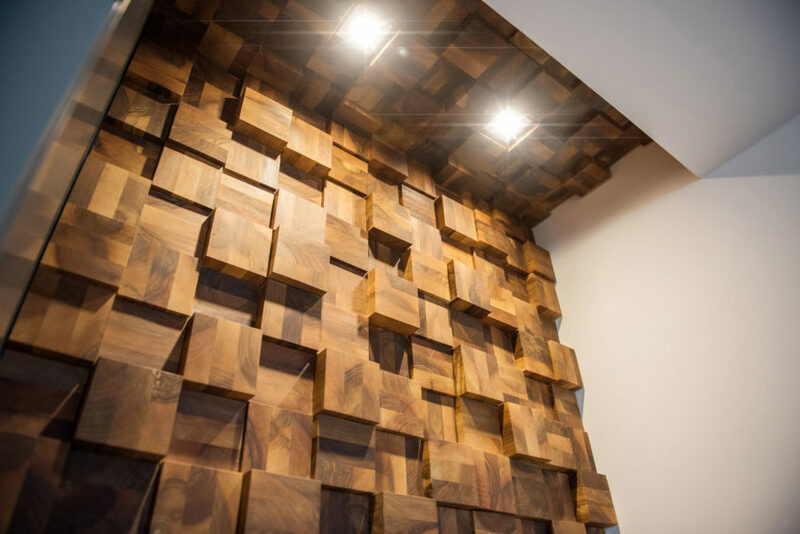 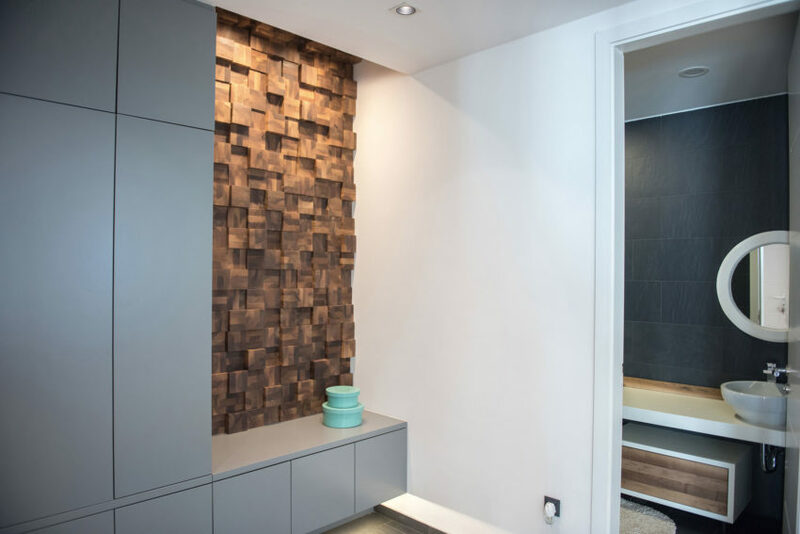 At the far end, the wall is decorated with a beautiful arrangement of wooden blocks, which gives the space a sensation of strength and personality.